Dirt track racing is beloved by millions and continues to expand its reach around the globe. 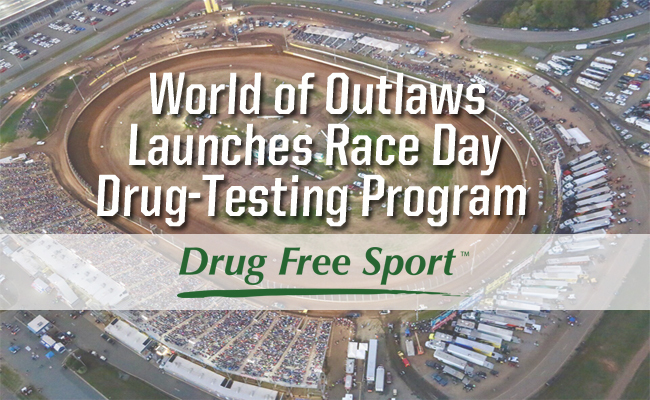 The sport’s leader, World of Outlaws, has long taken a stance against substance abuse, but embraced its role as an innovator by creating an exclusive partnership with Drug Free Sport for a robust sport drug-testing program. Testing for World of Outlaws two series (Craftsman Sprint Car Series and Late Model Series) began in early 2017, focusing on substances of abuse. Drug Free Sport was chosen because of its status as an independent, third-party administrator and its successes throughout professional sports in a variety of testing environments.